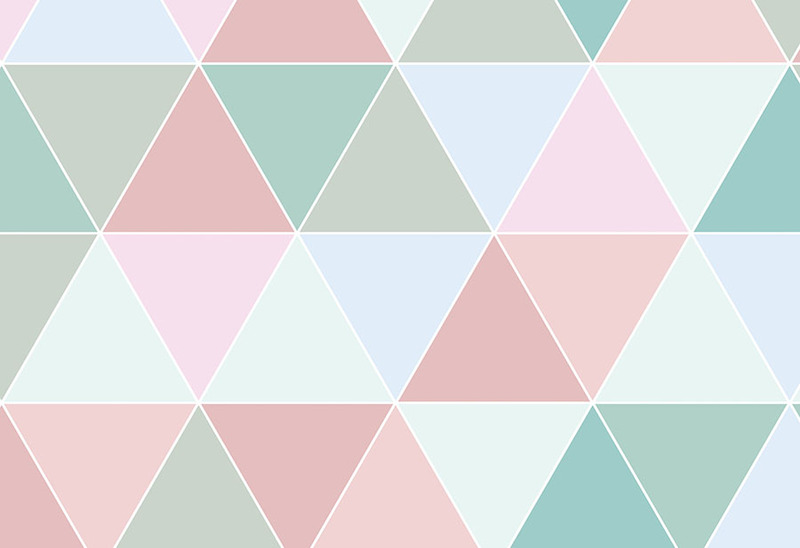 Sweeten up your walls with our Candy Coloured Triangles Wallpaper Mural. 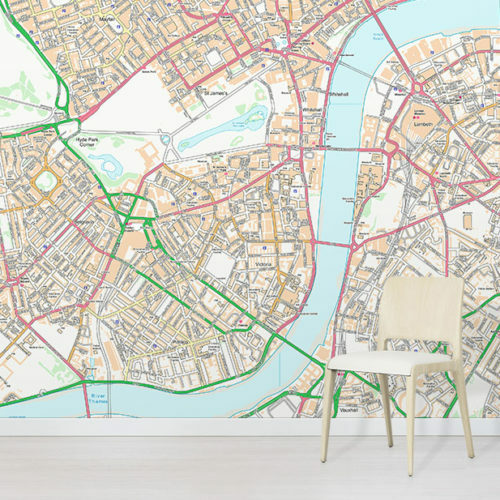 A brilliant pattern for any room in the house. 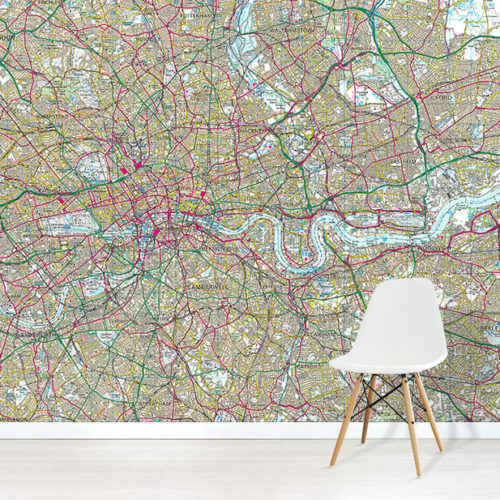 Custom printed to your exact wall size with Free UK Delivery. 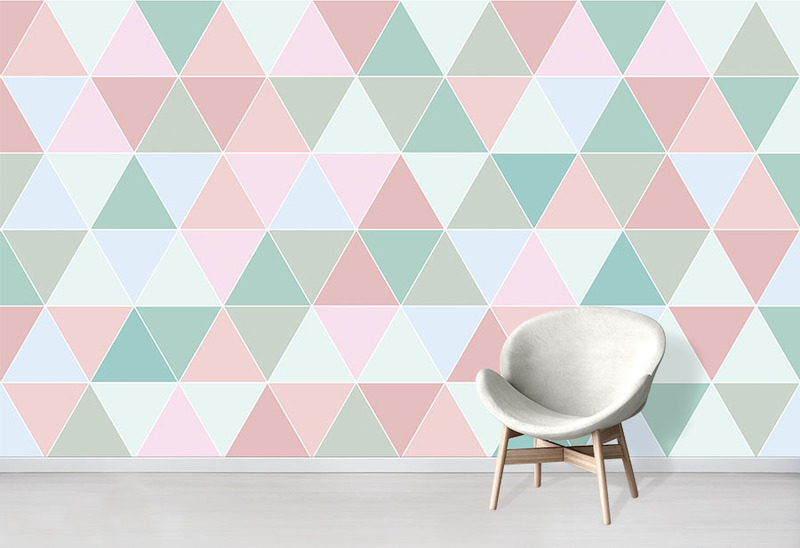 This Triangles Wallpaper is a sweet choice for any wall. Similarly, the design and colours are pleasing to the eye. It is simple and effective. Above all it makes a subtle but clear statement on any wall. The design is inspired by Scandi style and geometric shapes. With uncomplicated shapes, the design works well on large walls. Additionally, the candy colours are pastel toned with pinks and greens. Therefore this light and refreshing colour palette provides a fresh backdrop for your interior decor. Stylish and subtle, the Triangles Wallpaper can be used in any area of the home. 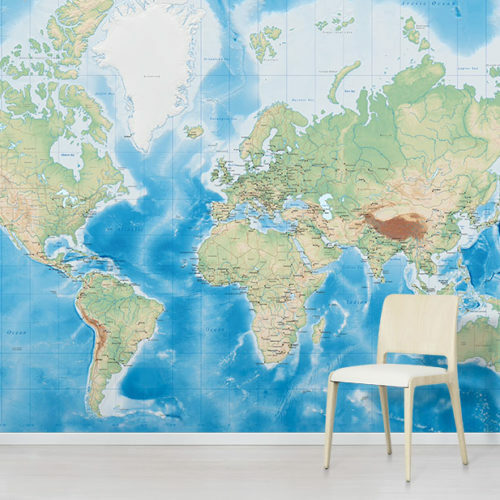 You can create a lovely feature wall with this design. Also, it would work well in the bedroom or likewise in the hallway. 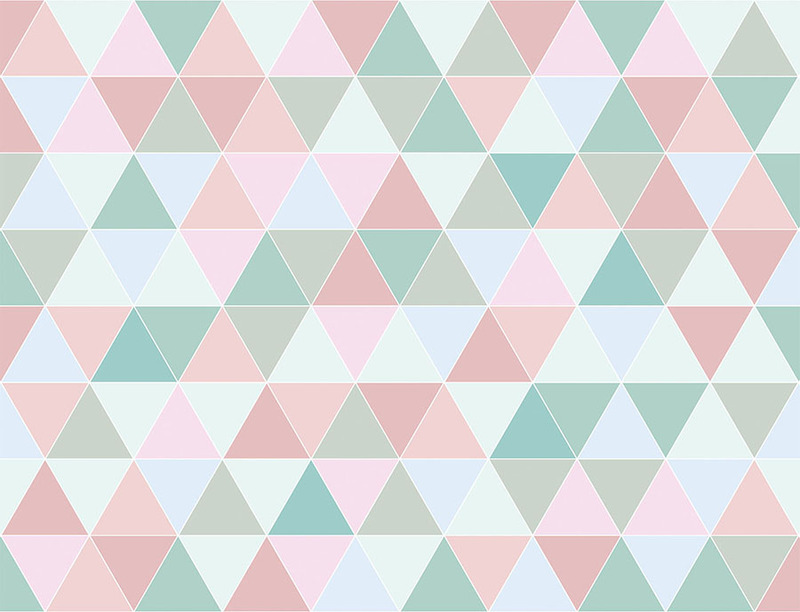 With geometrical patterns in candy toned colours, the Triangles Wallpaper is a great choice for your home. Be sure to browse our full range of Geometric Wallpaper for other styles and colours.